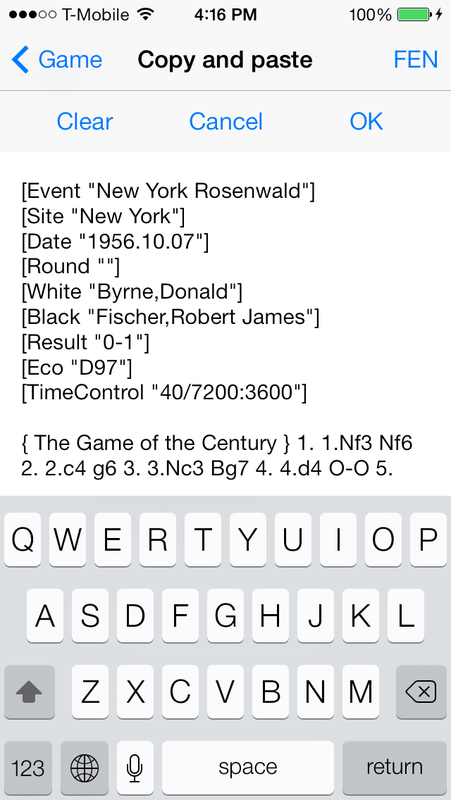 Note: If you already own tChess Lite or Pro and have a question about how to use it, please visit the owner's FAQ. Question: What is the difference between tChess Lite and tChess Pro? Question: Is tChess Lite strong enough for me? 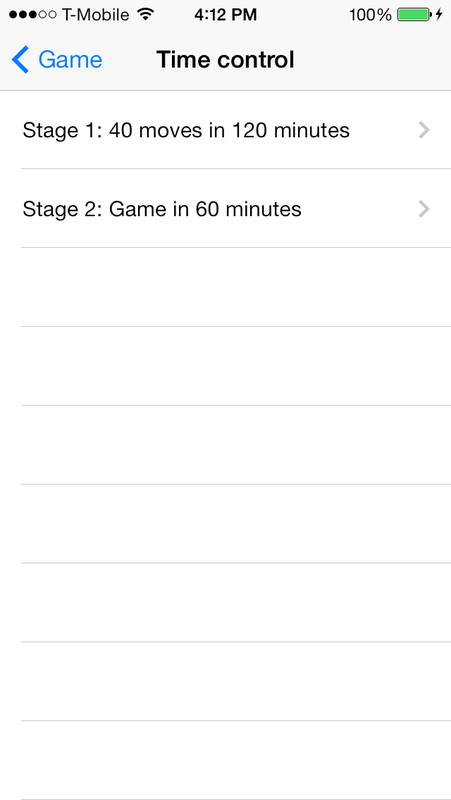 tChess Lite is limited to 1200 ELO (quick chess rating) in the Settings menu. This corresponds to a strong casual player but is weaker than an average chess club player. 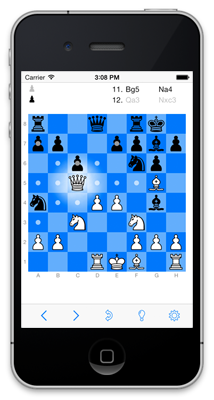 tChess Pro offers additional features that are valuable to beginners and experts alike, e.g., the ability to save games. 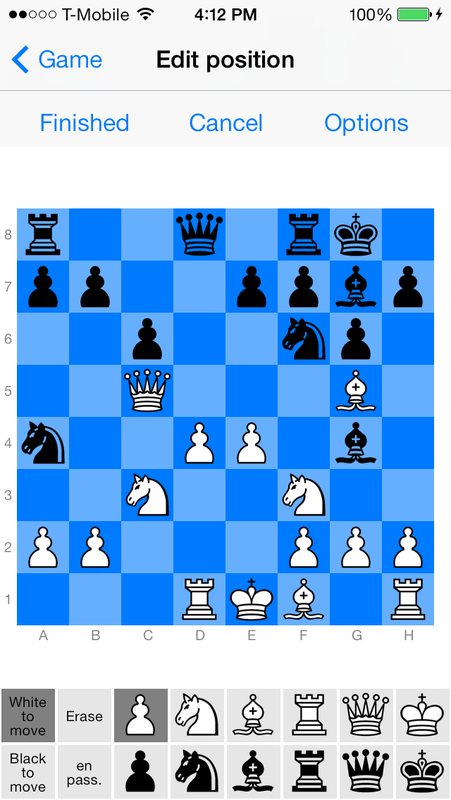 Question: What's the ELO rating of tChess Pro? tChess Pro can be set to any rating between 500 and 2500 ELO in the Settings menu. These ratings correspond roughly to USCF Quick Chess ratings, but they are not official or guaranteed to be accurate since tChess has never played in an official chess tournament. While tChess Pro does not have an official rating, it did score 90% in a demonstration match against Caissa Chess, which translates to an ELO difference of +380 points. tChess Pro's engine, Stobor, used to play frequently on the Internet Chess Club and has defeated many International Masters and Grandmasters.